Have you ever measured your email campaigns response rate? If no, it's time to start. Here is a good email tracking service. Email tracking can give you interesting results. For example, you may find that a small list generates a high response while a huge list generates a low open rate. Why so? Because it’s not the number of emails on your list but the quality of the list that really matters. I've been working for a software developer company for 10 years. We regularly send newsletters to our customers and subscribers. For a company advertising their products on the Internet the most important thing is to get as many subscribers as possible and build a strong relationship with already existing clients. Since the communication with the customers is done via email, the newsletter you send plays the essential role. 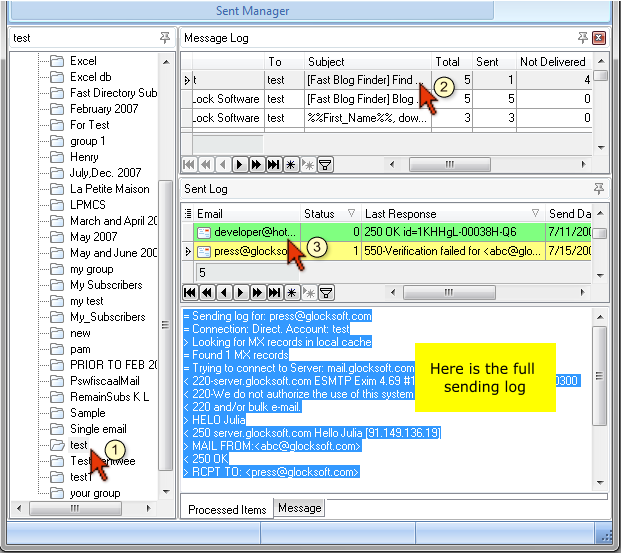 G-Lock Email Processor is supplied with the rule which collects bounced emails from your mail server (POP3 or IMAP), extracts the email addresses from bounced emails and saves them to different files depending on the bounced email type. 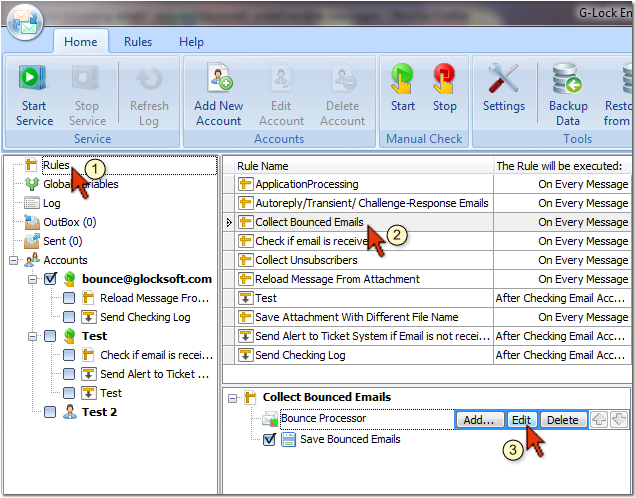 The rule is called "Collect Bounced Emails" and includes the "Bounce Processor" and "Save Bounced Emails" components.